Jeff Glucker October 30, 2017 Comment Now! If you want to put a Hellcat engine into your project car, there's now an easier way than hoping and praying that some ham-fisted driver pours in too much throttle so you can buy his or her wrecked machine. Yes, you don't have to go that route. 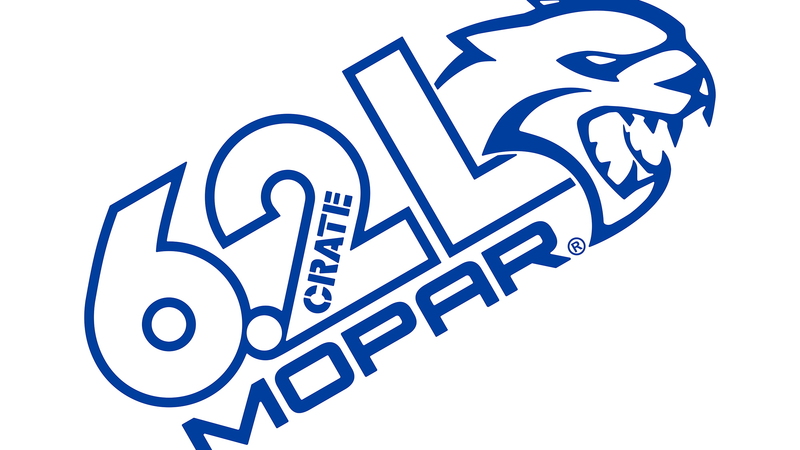 That's because Mopar is bringing a serious bit of power with it to SEMA this year, and it's called the Hellcrate. 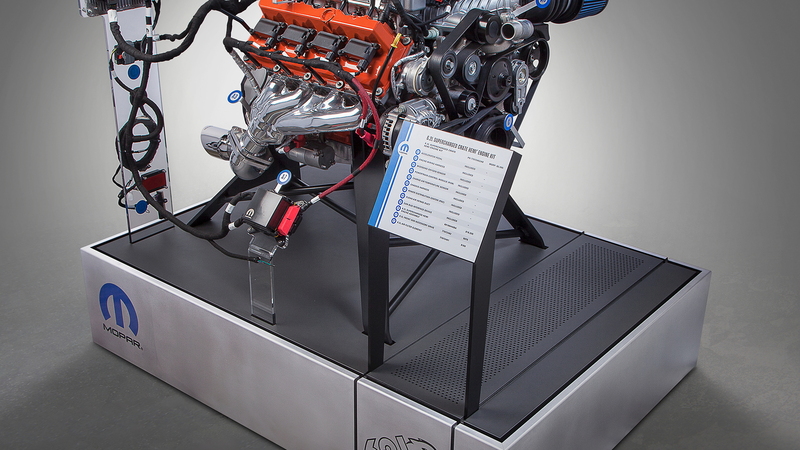 It's basically the Hellcat crate engine you've been waiting for, and it's packed up and ready to bring 707 horsepower and 650 pound-feet of torque to your project car world. 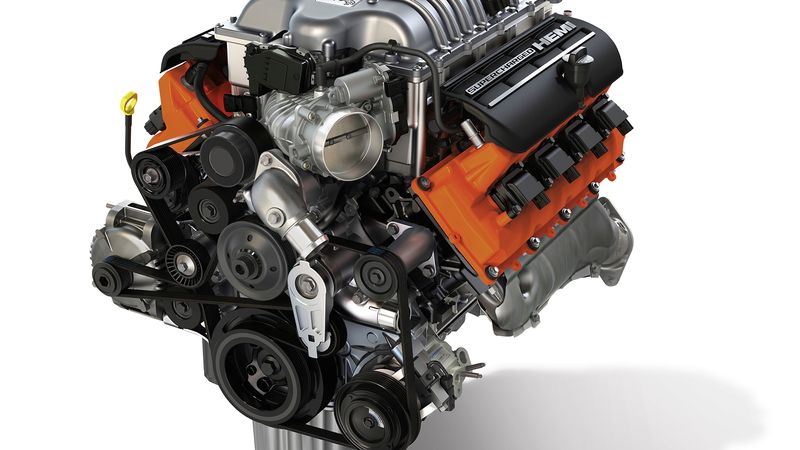 It's the familiar 6.2-liter supercharged V-8 engine that powers the Charger and Challenger Hellcat twins, and the Grand Cherokee Trackhawk. Unlike crashed Hemi projects of old, the engine control modules here are unlocked. You're given the full red-key treatment right out of the gate and Mopar has set this up as a plug-and-play installation. 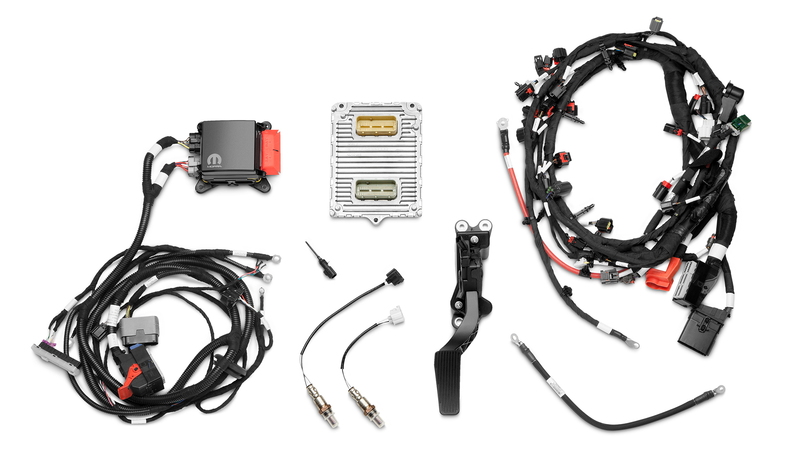 There's a wiring harness, accelerator pedal, oxygen sensors, fuel pump control module, and more necessary bits that make sure your engine is talking to your car correctly. Additionally, you can purchase the front end accessory drive kit to add an alternator, power steering pump, and all of the belts and pulleys to get your spinny bits swirling together in a rubber-burning, smoke-creating love fest. It isn't cheap. The Hellcrate has a MSRP of $19,530. If you want that front-end accessory drive kit you'll need to shell out another $2,195. Once you do, your new crate engine comes with a 3-year unlimited mileage warranty. The SEMA show starts on Tuesday. For more coverage, head to our dedicated hub.